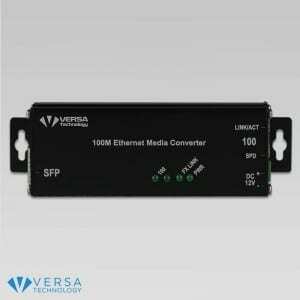 Versa Technology offers 100BaseFX and Fast Ethernet 10/100BaseTX media converters to connect different networks utilizing different mediums.These stand-alone converters allow network administrators to connect an Ethernet twisted-pair network to an optical-fiber network. 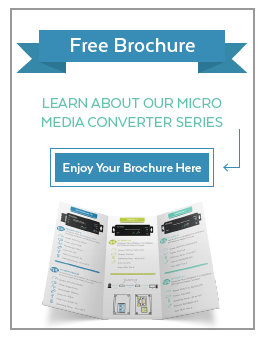 These 10/100 Media Converters support a maximum distance of 2km in a Multimode fiber connection and up to 80km in a Single mode fiber connection. 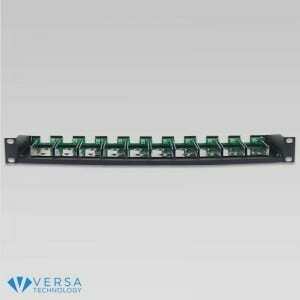 Versa Technology’s media converters are fully compliant with IEEE 802.3 and 802.3u standards. 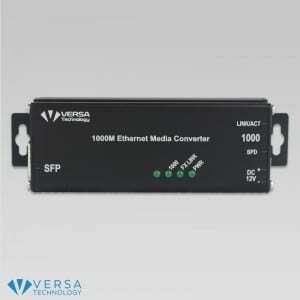 VX-200M-1212-2 is a micro media converter that supports multi-mode two SC type Fiber and meets EN55022. 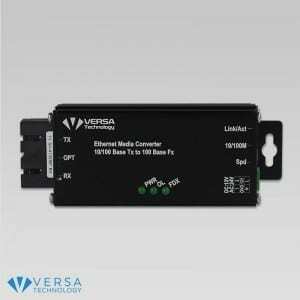 The VX-200M-2222-20 is a micro media converter that supports single mode two SC type Fiber and meets EN55022. 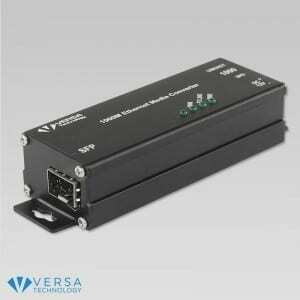 The VX-200M-X3 is a micro media converter that supports external SFP modules and meets EN55022. 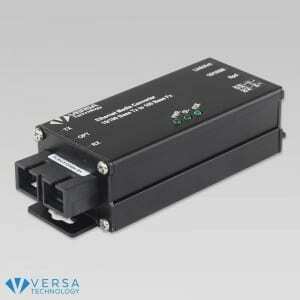 The VX-200MT-X2 is a micro media converter that supports external SFP modules and meets EN55022. 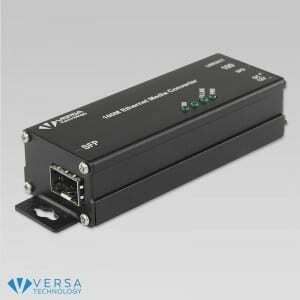 The VX-200MT-X3 is a micro media converter that supports external SFP modules and meets EN55022. 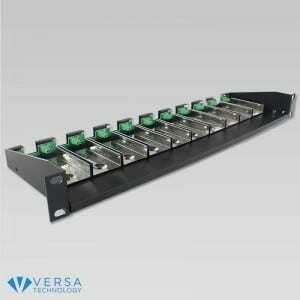 The VX-R10 rack is designed for all Versa Technology micro media converters which houses and supplies power to all units.